WORLD WAR 2 BOOK. ADD US TO YOUR FAVOURITES LIST. BSB 062257. Sponsored by the Christensen Fund, it included a diverse group of talented people aiming 'to set down by paintings, poetry and prose a distillation. for the rest of us.'. A Modern Exploration of Australia’s North-West Frontiers. Nigel Austin. KINGS OF THE CATTLE COUNTRY. The Story of Cattle. The First Cattle Pioneers. Cattle Country. Cattle Empires. Map of Cattle Stations. Illustrated with Colour and Black & White Photographs. By Eve Pownall. Published 1983. Hardcover and Dust Jacket. located in Australia. are of actual item listed. What You See is What You Get. to have unlimited books or magazines. and waterproof protection. LIFE ON THE AUSTRALIAN GOLDFIELDS. by Derrick I. Stone & Sue Mackinnon. by Derrick I. Stone & Sue Mackinnon (Hardcover, 1987). This book describes the lives of the diggers who worked in the Australian goldmines in minutiae detail. BUILD HUTS. MAKE AND REPAIR HORSE GEAR.PLAIT AND WORK IN LEATHER. SPLICE ROPE AND TIE KNOTS. BAG SIFTER AND SO MUCH MORE.166 PAGES. 28 CM X 21.5 CM. By David Fleay, renowned naturalist & owner of the famous West Burleigh Fauna Reserve. Talking of Animals - David Fleay, 1956. Jacket has wear, book is good with light general wear, no creased or torn pages. Outback in Focus by Jeff Carter. Hard Cover. Book Condition: Near Fine. Dust Jacket Condition: Good in PVC Sleeve. 1st Reprint of 1st Edition. 11 1/2 X 9 1/2". A straight unmarked book in a bright complete dust jacket.181 pages. 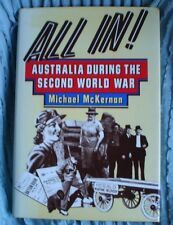 ISBN : 0 7254 0136 2 Category:Non Fiction - Australiana. Size:19cm x 27cm Publisher:Ure Smith, Sydney Illustrations:Pro Hart. Country of origin: Australia Pages:80 Weight:450g. Large-format hardcover with a dustjacket, published by Angus & Robertson, Australia, 1962, 224 pages, 1136 grams. ISBN does not apply. Unless requested otherwise, we are sending letters by the slightly slower and more economical Regular service. Published by Landsdowne Rigby in 1988, this edition is in very good condition. It does have a neatly repaired closed tear to page 121 which is photographed in pic 6. Else it is hard to fault. The hard cover boards are bright as is the gilt to spine. AUSTRALIAN BANK DEPOSIT : to Newcastle Permanent. Hardcover 1995. I have many interesting, unusual and out of print books for sale. Novel ideas, rich photographic illustrations. Net weight 528 gms. 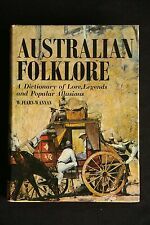 W. Fearn-Wannan -Australian Folklore: A Dictionary of Lore, Legends and Popular Allusions. Large-format hardcover with a dustjacket, published by Lansdowne Press, Australia, 1973, 582 pages, 1668 grams. Jennifer Isaacs. Illustrated with Black & White Photographs. Hard Covered Book in Good Condition with Dust Jacket. ~~ GREAT READ ~ FULL OF INFORMATION ~~. Childbirth, Childhood and School. FIRST EDITION HARDCOVER PUBLISHED BY RIGBY, ADELAIDE, 1979. 160 PAGES AND ILLUSTRATED WITH PHOTO PLATES. FROM HIS FIRST WORLD WAR EXPLOITS WITH OVER 20 'KILLS' TO AN ADVENTUROUS LIFE IN THE AIR MAINLY IN NEW GUINEA AND FURTHER WORLD WAR TWO HEROICS. AND BEYOND. (2) MIGHTIER THAN THE SWORD. 1) THE BIBLE OF THE BUSH - Edited by Hugh Jones. Angus and Robertson, Sydney, 1950, First Edition, hardcover 8vo with dustjacket, 239pp., 4 Sections, 22 Chapters & Index. E. E. Morris (editor) -Australia's First Century 1788-1888. Large-format hardcover with a dustjacket, published by Child & Henry Publishing, Australia, 1980, 902 pages, 1720 grams. ISBN 0 86777 064 3. The Best of Banjo Paterson Selected by Walter Stone. Hard Cover. Very Good DJ Good. 4to - over 9¾" - 12" tall. Edited by John Currey, illustrated by Don Angus. Australian Sea Stories. Southern Cross Series. 1980 hardcover edition, 118 pages. Add this to your collection. Aboriginal & Cattle Station Life and more! Arthur Groom. OUTBACK 1920's. I SAW A STRANGE LAND. 1952 Second Edition. We are very understanding. But, of course, we are not mind, readers. Goldfields of Victoria. first printed 1869.this edition 1980;. Centennial History Sydney Rowing Club. The Sydney Rowing Club Hardcover (no Dustjacket) 206 Pages 1970. SYDNEY ROWS. Those selected were, A W Duval, J R Fazio, A G Grover, M D Morgan, J H Nickson, G M Pearce and J R Ranch and coach Alan Callaway. J.D. Macdonald. AUSTRALIAN BIRDS. Illustrated with Colour and Black & White Photographs. Hard Cover Book in Good Condition. ~~ FULL OF INFORMATION ~~. Habitats and Adaptions. Learning to Fly. Publisher: Angus & Robertson, Sydney, 1966. Used - near fine in very good dustwrappper 206p, index, illustrated. 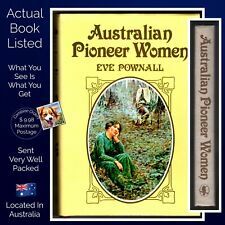 ; 4to; includes dustjacket (AUSTRALIAN WILDFLOWERS NATIVE PLANTS BOTANICLA DRAWINGS AUSTRALIA). ANGUS & COOTE. Angus & Coote Hardcover in Dustjacket 130 Pages 1997. The First Hundred Years 1895 – 1995. AUSTRALIAN BANK DEPOSIT : to Newcastle Permanent. I have many interesting, unusual and out of print books for sale. I, The Aboriginal...True Story...D. Lockwood...Hard Cover...Illustrated Edition. Title: I, The Aboriginal. I'm a full-blood Aboriginal of the Alawa tribe at Roper River in the Northern Territory. Author: Douglas Lockwood. First Illustrated Edition. Hard cover is in very good condition, binding tight. 240 PAGES OF EXCELLENT INFORMATION - DONT MIS THIS BOOK - BARGAIN PRICE. FEW SCUFF MARKS & MARKS ON 2nd PAGE. BOOK IS IN GOOD CONDITION FOR ITS AGE. By Mark Shephard. The Great Victoria Desert straddles much of South Australia reaching well into Western Australia and teems with wildlife. THE GREAT VICTORIA DESERT. Reed Books Hardcover in Dustjacket 240 Pages 1995. 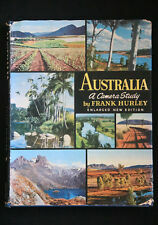 With colour photos great book on terraces all over Aust large over-quarto size book.laminated cover under the dustwrapper. 128 pages.Angus & Robertson 1999. GEORGE LAWRENCE. Lawrence was profoundly and often excitedly moved by the moods of nature. George Lawrence 1901–1981. 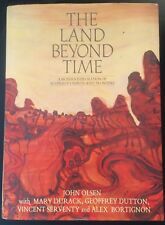 Australian Artist Editions Hardcover in Dustjacket 127 Pages 1980. AUSTRALIAN BANK DEPOSIT : to Newcastle Permanent. Angela Sanderson. The Complete Book of AUSTRALIAN DOGS. Caring for Australian Dogs. Australian Terrier. Australian Silky Terrier. Australian cattle Dig & Stumpy Tail Cattle Dog. Reprint 1988. Illustrated with Colour Photographs and Black & White Sketches. ISBN: 0600072193. Illustrated History of Australia - Paul Hamlyn (1974). This is a huge book full of Australian History and weighs 5.2kg. Photos are of the actual book for sale and the one you will receive. Neville Coleman. AUSTRALIAN SEA FISHES. Hard Cover Book in Good Condition with Dust Jacket. ~~ FULL OF INFORMATION ~~. Up for sale is The Australian Girls' book of Crafts, Pets, Sports and Hobbies by Prudence and Anthony Harvey. 1969 hardcover edition in excellent for it's age condition.